I will begin this review by saying that Turtle Bay in Newcastle is one of our favourite restaurants - the staff are always fantastic, the food is spot on (and they're not shy of spice if you pick a hotter dish), the reggae music and Caribbean decor are both fun and relaxing and there's a decent selection of cocktails which are buy one get one free during happy hour. What's not to love? 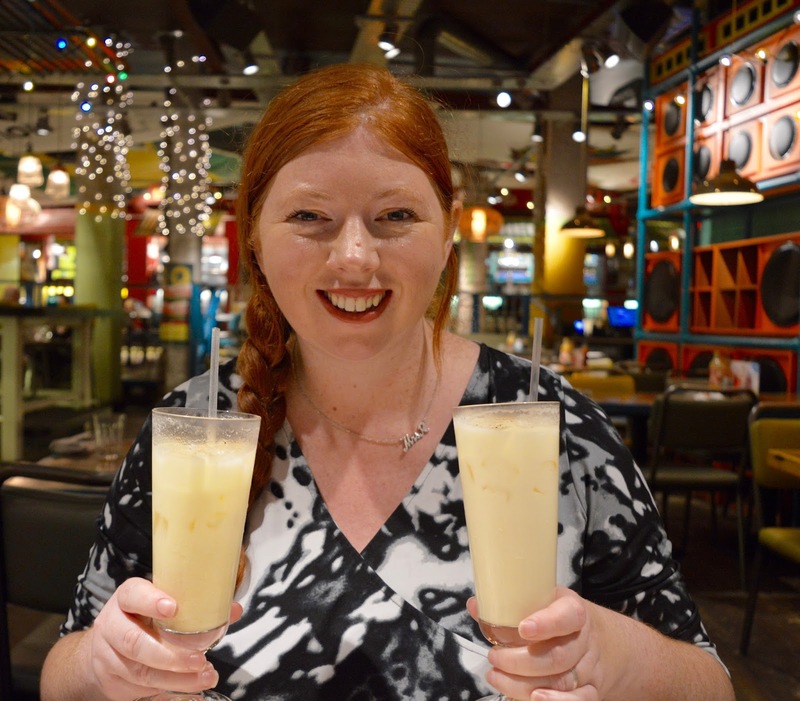 We were recently invited along to preview their All Day Caribbean Christmas menu which is available from 11:30am - 11pm every day for groups of 8 or more from now until the end of December. It's super easy to book a Christmas get together or party online - simply use the online booking system here and you'll be emailed a booking form where you can pre-select your dishes. 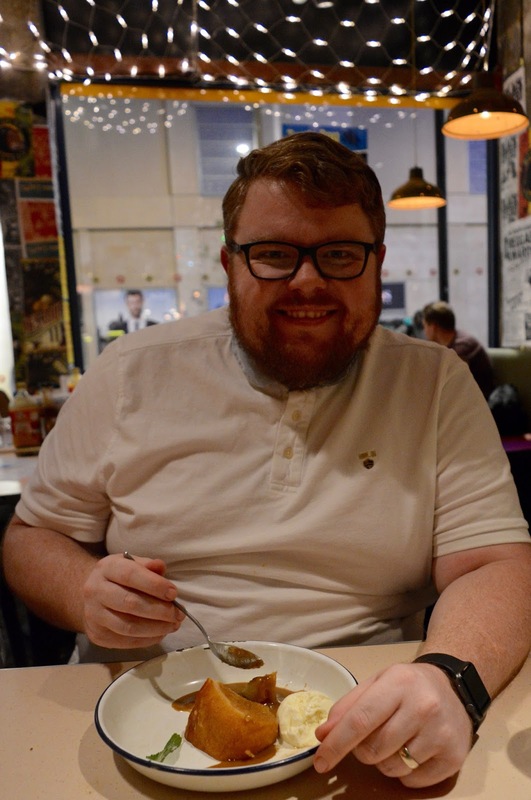 Last year I think I managed to wade my way through no less than 8 traditional turkey dinners from the end of November to Christmas day and to be honest when Christmas Day arrived I was sick of the sight of it and it didn't feel nearly as special. Like most of us, I'm a busy girl and I have a few Christmas parties to attend this year - most of them are a traditional affair with turkey and all the trimmings and while the first turkey dinner of the year tastes like heaven on a plate, after this it kind of gets a bit boring. I love that Turtle Bay offer something a little different and their Christmas menus are probably the most interesting I've seen. With the all-day dining package (£24 for 4 courses), you'll be welcomed with individual platters of nibbles - perfect if you've rushed straight from the office to get ready and starting to feel peckish. 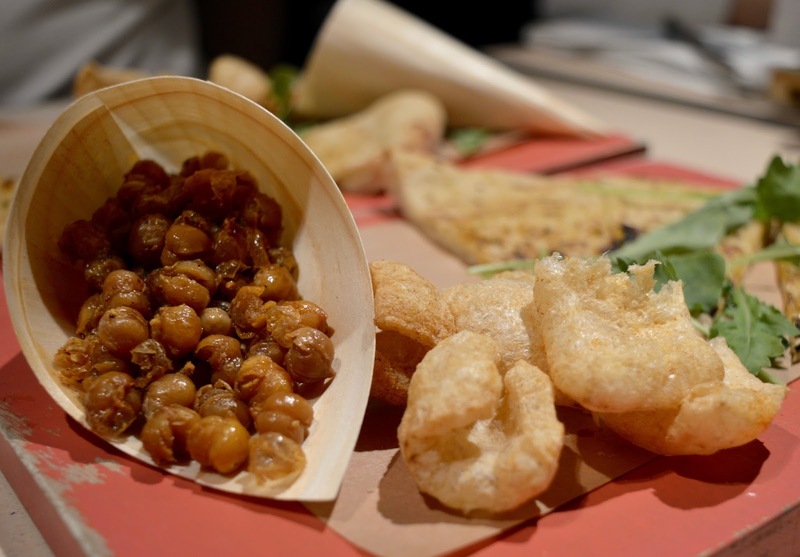 Garlic and Herb Flatbread, Baked Chickpeas and Spicy Pork Rinds were all super morish - the Pork Rinds were my favourite. Kind of reminded me of a bacon flavour quaver but in a good way. They weren't too hard on the teeth either. We dined during Happy Hour so obviously, I made the most of BOGOF cocktails. I went with the Koko Colada this time as the sprinkling of nutmeg on top reminded me of Christmas. They were delicious and pretty strong too. Happy Hour is until 7pm every day and from 9:30pm-close Sunday-Thursday and 10pm until close Friday & Saturday. 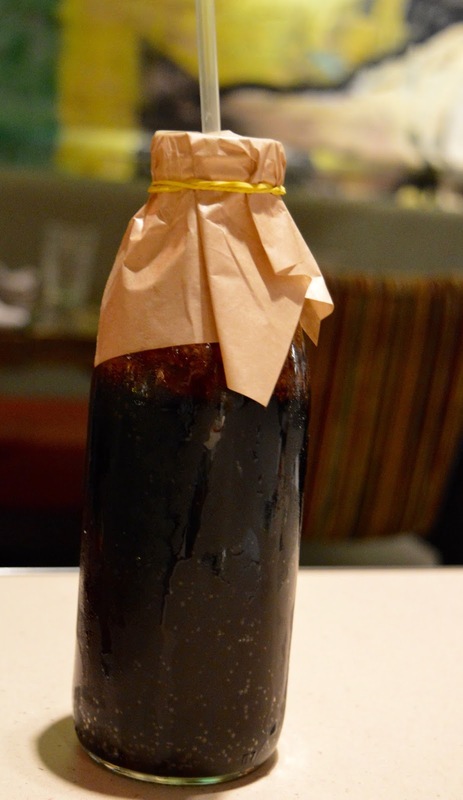 Of course for the non-drinkers, there are a range of soft drinks available too. I love the attention to detail. 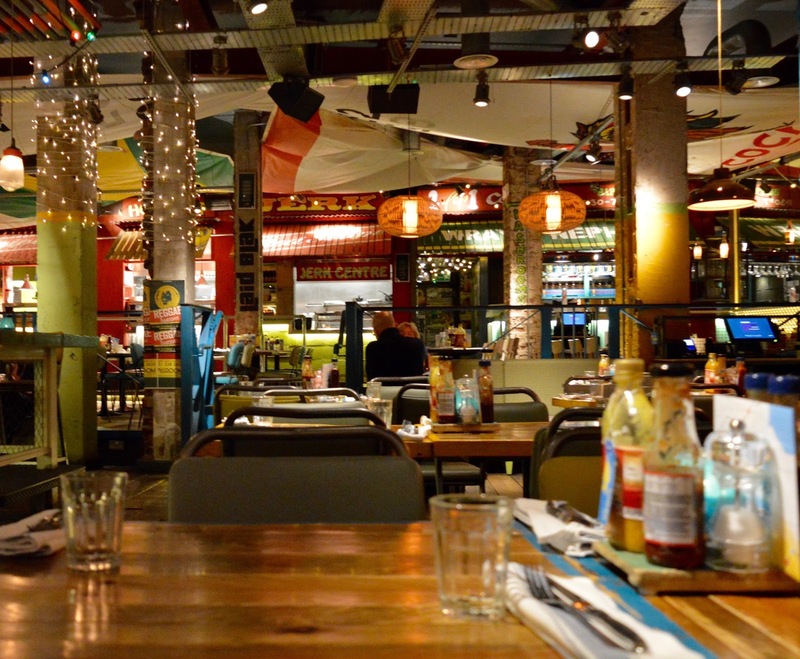 The atmosphere in Turtle Bay is definitely aimed towards having a good time. I've dined with the kids here a few times in the past (under 14s are welcome before 9pm) and have never had any issues with drunkenness but it still feels like a party atmosphere - we love the music in Turtle Bay and all of us always end up singing and dancing along. If you can't stand the thought of the best of Christmas Hits being played in the background during your festive get together this year, Turtle Bay provides a very refreshing alternative. I swear it took all of Steve's willpower to not stand up and have a little dance when Murder She Wrote by Chaka Demus & Pliers started playing. I highly recommend keeping the party going and listening to the Turtle Bay playlist on Spotify during your journey home. 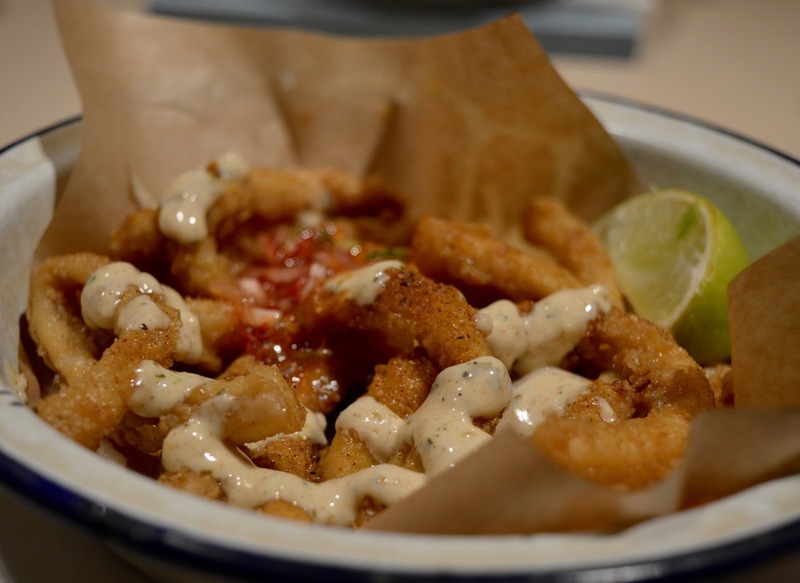 The food at Turtle Bay never disappoints and I was all set to say my chilli squid was the best squid I've ever tasted but then I ordered squid from Longsands Fish Kitchen the following day and that was even better so I can't make that claim now. It's a strong 9/10 though - not at all chewy, nice and spicy and a generous portion. It does not feel or taste like the kind of squid you normally get in a chain restaurant. 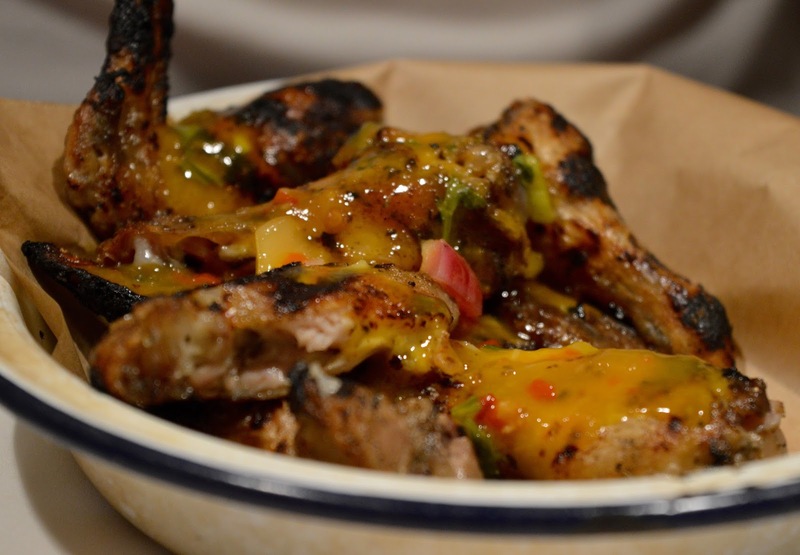 Steve went for the Mango Pit Wings which had been marinated for 24 hours. He declared them some of the best wings he's ever had - the meat just fell off the bone and there was just the right amount of char on the skin. 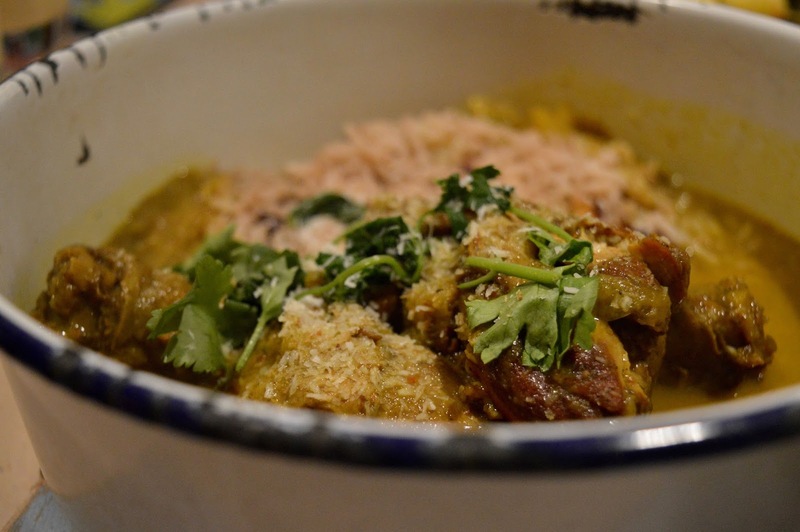 Onto mains I could not resist the Guyanese Curry Duck. Packed with scotch bonnets (but actually not too hot that it's unbearable - it was milder than the curries I normally eat) with a nice hint of orange, this dish tasted nice and festive and again was generous in size. Served with Caribbean bread to mop up the juices, this is a dish I wouldn't mind replicating myself as an alternative to Boxing Day Turkey Curry. Seve was torn between pretty much everything on the menu and had taken a while to decide. 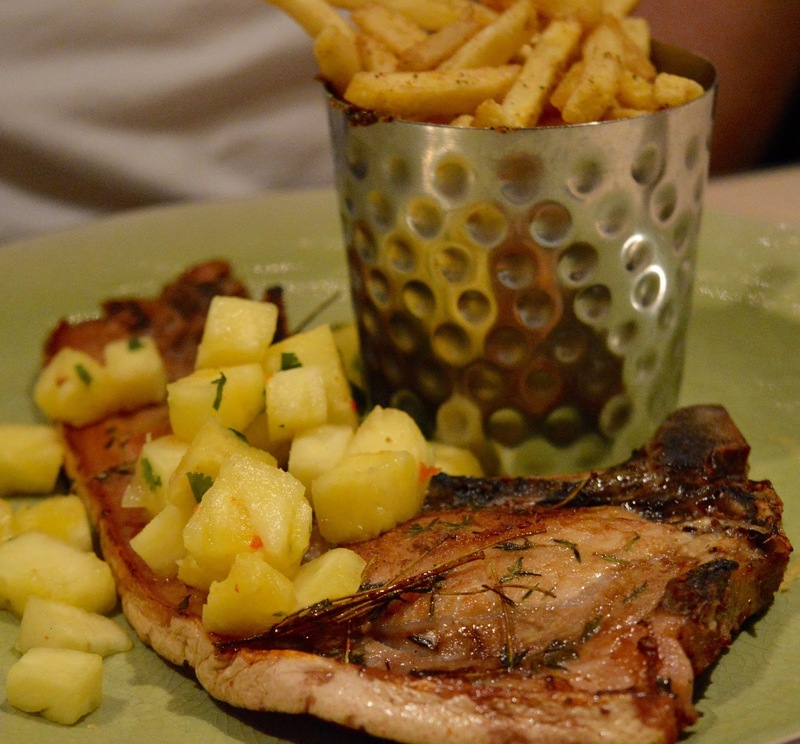 He ended up with the Tomahawk Pork Chop which had been marinated with cinnamon allspice and served with fries and pineapple chow. I had a little bite of this and I do think it was on the dry side (although I didn't try the pineapple with it which is perhaps what's intended). Steve absolutely loved it though and said the spice was unusual and it was nice to have something a little different. 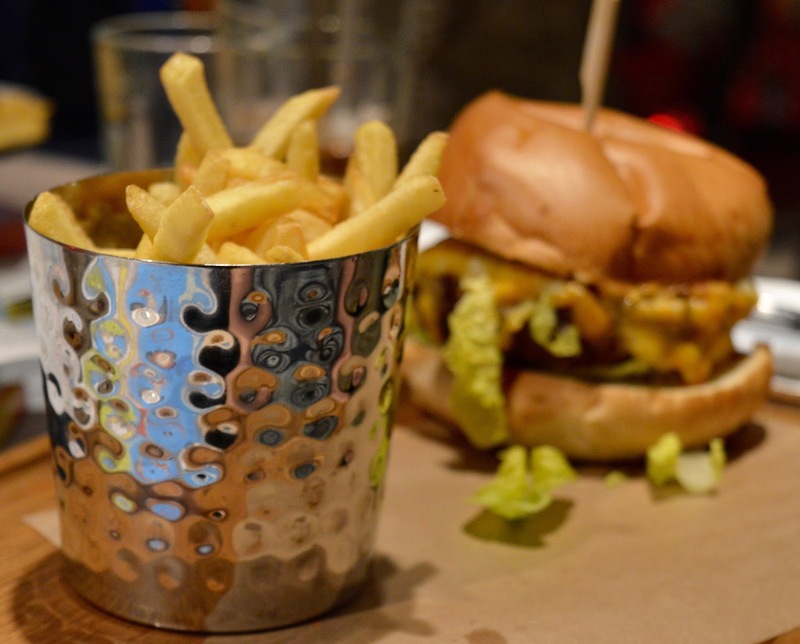 Fries at Turtle Bay always go down a treat and there are plenty of them too. A slight breather between courses and our server brought us over a jug of water as we waited for desserts. I really wanted to order the upside down rum cake but as Steve is a huge rum lover I let him go with this one this time. I wish I'd ordered it too as it was just SO good. Full of booze but light enough to enjoy after three courses, I'd recommend this dish to anyone who visits. 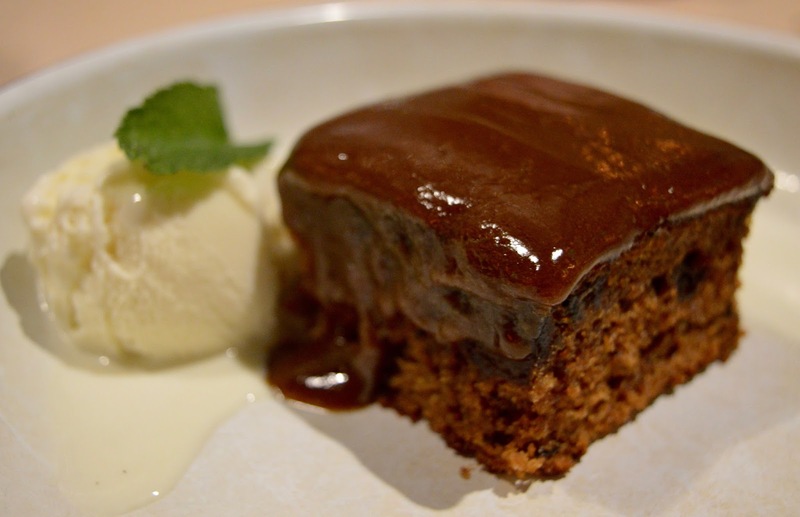 I went with the Black Treacle Pudding which was nice, but it didn't have the wow factor that the rum cake had - go with the rum people! The kids tried the dark chocolate brownie which I worried might have been a little rich for them but it wasn't and they all said it was delicious. I didn't get a look-in so you'll just have to take their word for it. If you're planning a big family festive get together over a weekend or perhaps a Christmas meal with friends before panto, my three give Turtle Bay the thumbs up. They ordered burgers on this occasion which can be customised for picky eaters. 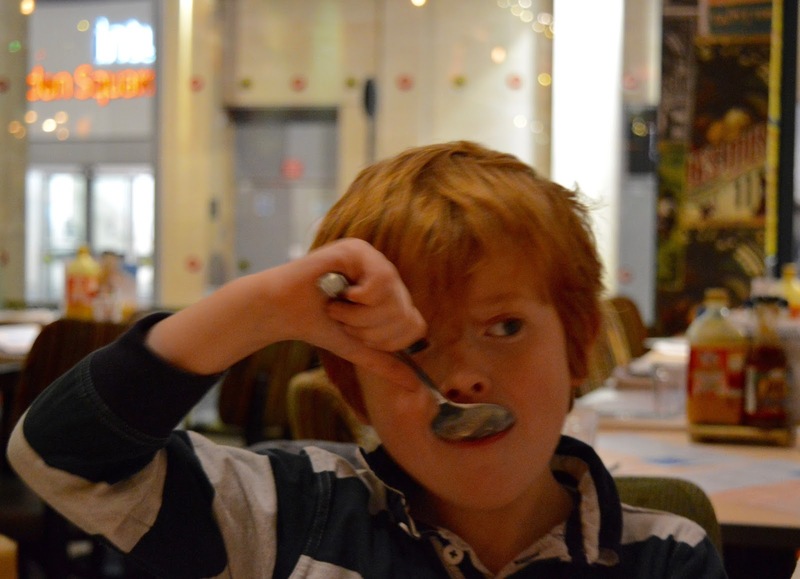 You can read our review of the children's menu in more detail here. If a full 4-course meal all seems like a little too much and you're looking for something a little lighter. 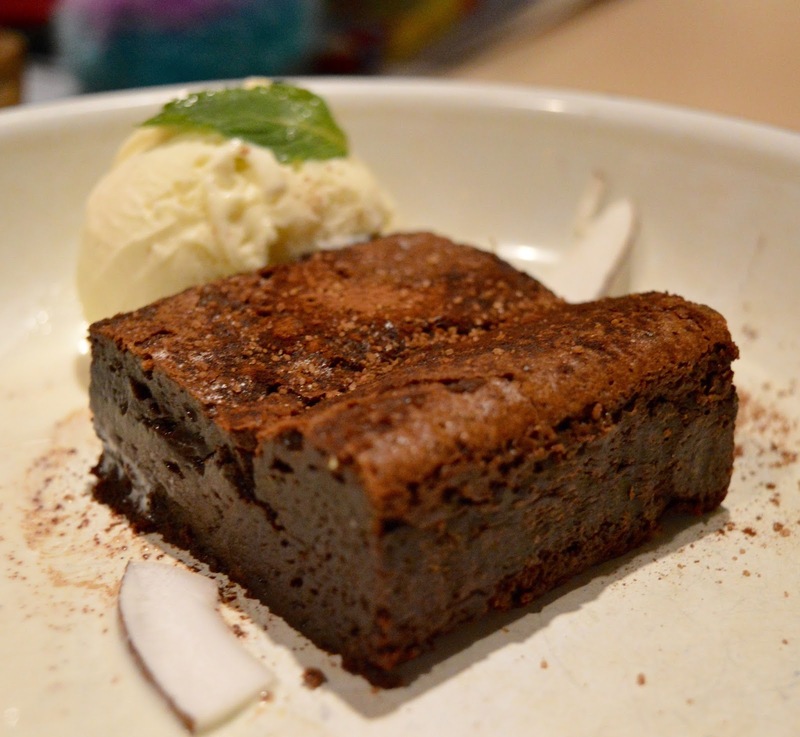 Turtle Bay offers a range of festive dining options this year. From festive platters and areas to hire for drinks to a bargain 3-course lunch menu for £15, there's an option to suit all budgets and requirements. If you're looking for a Christmas meal out in a central Newcastle location where turkey and tinsel are nowhere to be seen but you will be guaranteed a good time with fantastic staff, music you want to sing along too, a good range of cocktails and some pretty tasty food, Turtle Bay will more than meet your requirements. 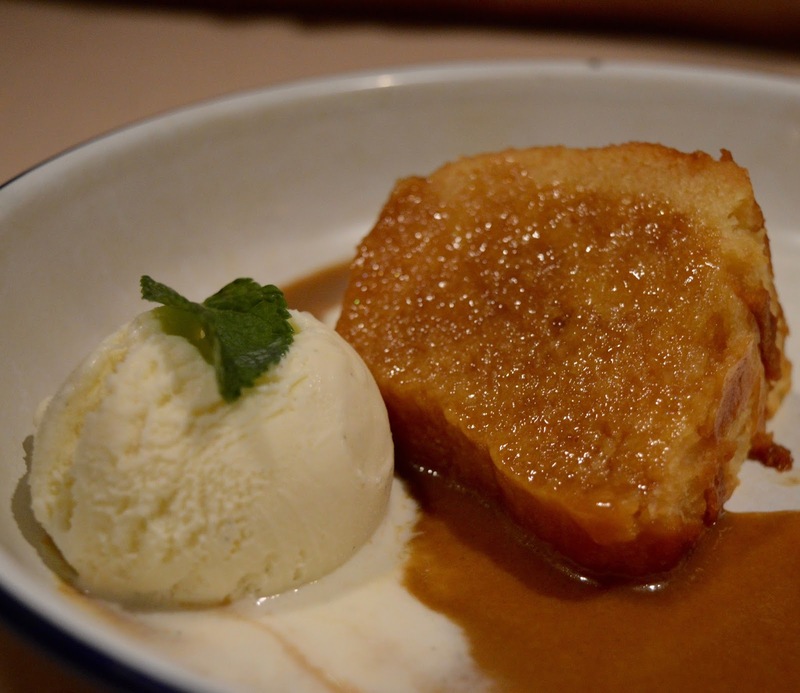 I especially recommend the squid and rum upside down cake. It's the next best thing to enjoying a real Caribbean Christmas. 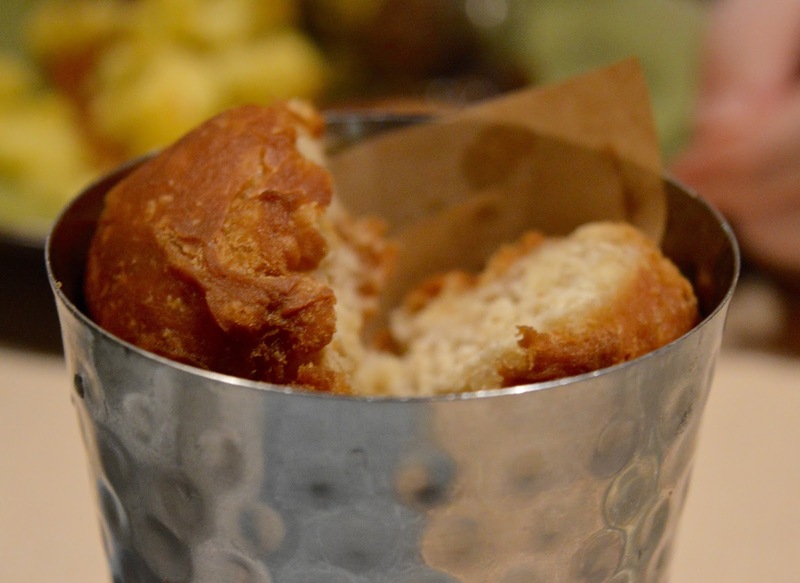 Let me know if you're a fan of Turtle Bay and if any of their festive dishes are tempting you this Christmas. 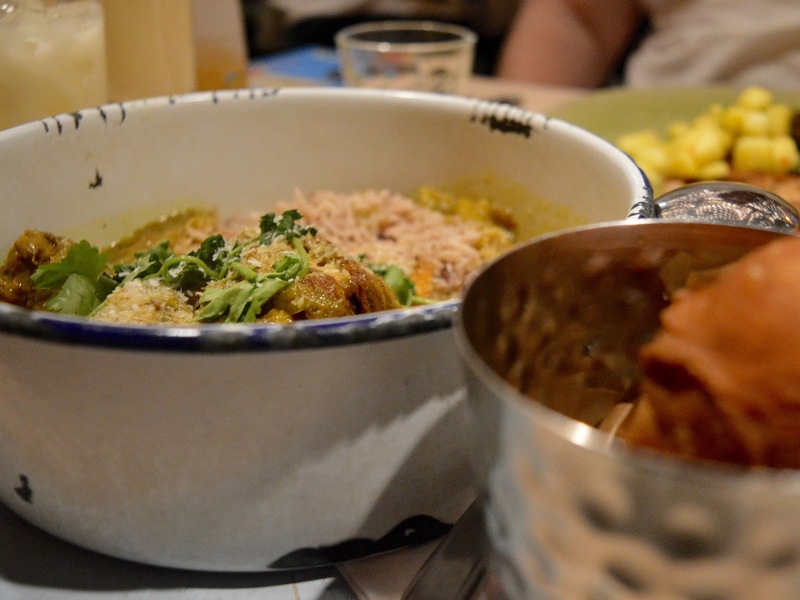 I LOVE Turtle Bay too, I've never had a bad meal and whenever we have people visiting and we can't decide where to go we will always end up at Turtle Bay! Just love the vibe, the staff and the food!